Three prominent figures are being honored during the United States Sports Academy’s annual tribute to the Artist and the Athlete. The Artist is the Academy’s 2012 Sport Artist of the Year Németh Ferenc, a Hungarian sculptor whose bronzes depict many sports legends. 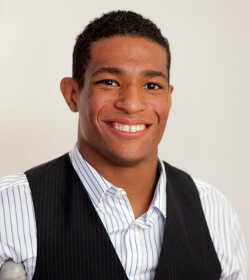 The Athlete is 2011 Juan Antonio Samaranch IOC Disabled Athlete Award winner Anthony Robles, a one-legged NCAA national champion wrestler. Also being honored on the date of the 236th anniversary of the U.S. Marine Corps is its former commandant retired Gen. Charles “Chuck” Krulak. He earned the Academy’s 2011 Theodore Roosevelt Meritorious Achievement Award. They all will attend the Academy’s Awards of Sport event, which includes the Artist and the Athlete tribute, scheduled Thursday Nov. 10 and Friday Nov. 11 at the university’s Daphne, Ala., campus. Ferenc has earned worldwide recognition for his bronzes of Wayne Gretzky, Tiger Woods, Joe Montana, Willie Mays, Pete Sampras, Carl Lewis, Michael Jordan and others. He plans to unveil 12 more sculptures at 4:30 p.m. Thursday, Nov. 10. 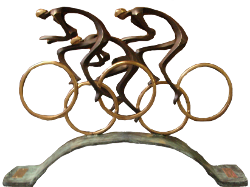 In early 2011, Ferenc donated 179 sculptures to the American Sport Art Museum and Archives (ASAMA), a division of the Academy established in 1984. Robles, an Arizona State University wrestler who was born without a right leg, will represent the Athlete. The 22-year-old capped his senior year by winning the NCAA 125-pound men’s wrestling title in March and finishing his wrestling career with a perfect, 36-0, season. Robles, who earned his bachelor’s in business communications, now travels the country as a motivational speaker to encourage others to overcome perceived obstacles. He will deliver his message about becoming “unstoppable” from 9:35-10:20 a.m. Thursday, Nov. 10 at Daphne High School. 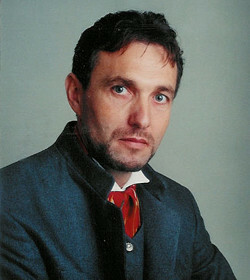 Robles has often repeated that he never considered himself disabled. Krulak distinguished himself as an athlete, Marine and businessman. He earned the Roosevelt Award for his longtime contributions to sport from his wrestling days at the U.S. Naval Academy to his 35 years of military service. He served from July 1995 to June 1999 as the 31st commandant of the U.S. Marines Corps and a member of the Joint Chiefs of Staff. After his retirement from the military, Krulak became a top banking executive for MBNA. Today, Krulak is president of Birmingham-Southern College where his leadership is expected to further enhance the university’s reputation as one of America’s finest liberal arts institutions.